What Does It Mean To Be Preapproved vs. Prequalified? Before you spend hours on end searching for your dream home on your favorite real estate listings site and scheduling open house visits, there are a few must-dos you'll need to take care of to ensure that you're homebuying-ready. Among those things is assessing your creditworthiness and determining how much house you can afford. When you're starting the process to buy a home, you'll likely hear the terms "preapproval" and "prequalified." These terms have two different meanings, and one will get you closer to obtaining a mortgage than the other. Here's a breakdown of getting preapproved versus prequalified as a potential homebuyer. A mortgage prequalification involves a surface-level look at your financial situation that lenders use to make a determination about a loan amount for which you might qualify. You provide information regarding your annual income, along with your debts and assets, and the lender gives you an approximate home loan amount based on that info. In cases where you're not 100-percent ready or confident enough to move forward with applying for a mortgage, a prequalification would be where you'd put a pin in your process. If you're not crazy about the loan amount attached to your prequalification, it might make sense to go back to the drawing board and work on improving your financial picture. Also keep in mind that a mortgage prequalification doesn't have an effect on your credit score, as it's not a formal credit application, according to Experian. A mortgage preapproval comes in the form of a letter you receive after completing a formal mortgage application and being accepted by a mortgage lender. The lender will also pull your credit reports and scores from the three major credit reporting bureaus: Equifax, Experian, and TransUnion. These will be "hard inquiries" that will temporarily affect your credit. A preapproval has added advantages of giving you a better idea of the mortgage amount you'll likely qualify for and shows home sellers that you're serious about homeownership. It also helps you stay within a particular price range while shopping for homes. One caveat: Mortgage pre-approvals are only valid for a certain amount of time, usually 90 days. Is a Preapproval Better for You? If homeownership is on your list of short-term goals, and you've been doing your due diligence to put yourself in a favorable position in the eyes of a mortgage lender, it would make more sense for you to secure a preapproval. But before you commit to moving forward after applying with just one lender, shop around. 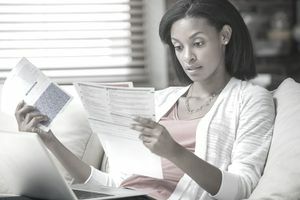 You'll experience a minor ding to your credit score when you apply for a mortgage, but the impact is contained if you submit additional applications to other lenders within a short time frame, usually 14 days. FICO says multiple credit inquiries—related to the same type of financial product—that post to your credit reports over a handful of days are treated as one inquiry. You'll receive a Loan Estimate when you apply for a mortgage. Use this document from each lender to compare apples to apples and find the best terms for your circumstances. If you've gotten those pesky, unsolicited letters in the mail from various credit card companies, that's another example of being "prescreened," so to speak, for a financial product. When you're prequalified for a credit card, the card issuer has initiated a "soft inquiry" of your credit history and determined you might be a good fit for their credit card. You also have the ability to be prequalified online through some card issuers' websites. Being preapproved for a card means that you're invited to apply for a credit card from the issuer who sent you an offer in the mail. In either case—prequalified or preapproved—you'd still have to apply for a credit card, which involves pulling your credit history, to learn for sure whether you're able to access whatever credit limit is mentioned in the offer or some other amount.